Students integrate personal faith in the practice of nursing while serving in a global and socially diverse society. These courses will be offered in the Southeast Mental Health Center in Farmington, Missouri. In accordance with the mission statement of Missouri Baptist University, the RN-BSN curriculum prepares registered nurses (RNs) for professional service in multifaceted roles. The nursing curriculum prepares students spiritually, intellectually, and professionally through a foundation of liberal arts education. Students integrate personal faith in the practice of nursing serving in a global and culturally diverse society. The nursing program is delivered completely online, except in cases where we have partnerships with facilities who want to deliver an on-ground cohort. Students can complete courses full-time or part-time. The RN-BSN program can be completed in as little as 12 months for full-time students and 22 months for part-time students. 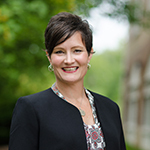 Dr. Amber Pyatt is the founding dean of MBU’s nursing program and an associate professor of nursing. Pyatt is graduate of SEMO (‘06), Newman University (‘10), University of Cincinnati (‘14) and American Sentinel University (‘16) where she earned her DNP. She is a licensed RN in Kansas, Missouri, Georgia, Florida, Nevada and Illinois. Pyatt was the Director of Nursing at Southwestern College from 2014 until coming to MBU. She also taught at Chamberlain College of Nursing and Davenport University. Pyatt earned the Award for Academic Excellence at American Sentinel University. She is a Scholar of the Nurse Faculty Leadership Academy that is administered by Sigma Theta Tau International and funded by the Elsevier Foundation as well as a member of the Golden Key Honor Society, National League for Nursing, Graduate Student Nurses Association and the Kansas Organization of Nursing Leaders. Robin Murray has taught pre-licensure registered nursing and online courses at the college level since 2004. 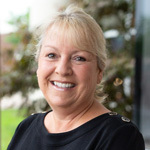 Murray earned her bachelor of science in nursing (BSN) from Indiana University in 1997 and her master of science in nursing (MSN) from Webster University in 2003. She is currently working on a doctorate of nursing practice (DNP) in Educational Leadership at American Sentinel University. Clinically, Murray has worked with adult patients in medical-surgical units, homecare, occupational health, burn intensive care, cardiac and trauma step-down, behavioral health and faith community nursing. She was inducted into the Sigma Theta Tau, the International Honor Society for Nursing in 1996. Before her career in nursing, Murray served in the United States Air Force and Air Force Reserve Forces from 1990-1997. Debra D’Arcy has worked as a registered nurse since 1982. She has diverse nursing experience in critical care, telemetry, operating room, pain management, medical-surgical, home health, and school health which included working with students with special needs and as an administrator as a lead nurse and practice specialist. Her teaching experience includes LPN to RN bridge and associate degree nursing programs. 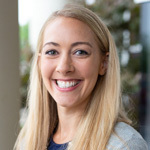 She was the American Heart Association Training Center Coordinator for BJC and is currently appointed as AHA Regional Faculty in Missouri since 2014. D’Arcy has current status as AHA instructor for Advanced Life Support (ACLS), Basic Life Support (BLS) and Pediatric Advanced Life Support (PALS). She earned her bachelor of science in nursing (BSN) from Purdue University- Calumet Campus in Hammond, Indiana. She certified as a Family Nurse Practitioner from 1987-1992. She went on to receive her master of science in nursing (MSN) from University of Missouri-Columbia with concentrations in public health and school health. She is a nationally board certified Public/Community Health Clinical Nurse Specialist. D’Arcy has served as president of the Missouri Association of School Nurses as well as to the St. Louis Suburban School Nurses Association. She was inducted into the Sigma Theta Tau International Honor Society of Nursing in 2004. She is a member of the American Nurses Association and the Missouri Nurses Association. 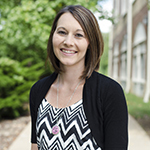 Ashley Bell has worked as a registered nurse since 2008, began teaching bachelor of science (BSN) nursing students in 2017, and joined the Missouri Baptist School of Nursing Faculty in 2018. She earned her BSN in 2008 from Cedarville University in Cedarville, Ohio and her master of science in nursing (MSN) with an emphasis in nursing education from University of Missouri – St. Louis in 2013. She received her certification in oncology nursing in 2010. Her clinical passions include oncology, palliative, and medical/surgical nursing. 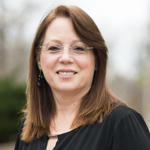 In 2015, she was a finalist for the St. Louis Business Journal’s Nurse Excellence award in the educator category and was recognized for her work as a clinical nurse educator, facilitating learning for nursing personnel in the clinical setting. She was inducted into Sigma Theta Tau, the International Honor Society for Nursing, in 2017. Tara Hommelson has worked as a registered nurse since 2008. Her nursing background includes pediatric medical-surgical, pediatric hematology and oncology, and pediatric research. Additionally, she is a board certified pediatric nurse practitioner and has worked with adolescent medicine and pediatric plastic surgery patients in this capacity. She began teaching Bachelor of Science in nursing students in 2015. Tara earned her bachelor of science in nursing (BSN) in 2008 from Maryville University in St. Louis, Missouri and her master of science in nursing (MSN) from the University of Missouri – St. Louis in 2013. She was inducted into the Sigma Theta Tau International Honor Society of Nursing in 2008. In 2013, she was awarded the Shirley A. Martin Distinguished Nurse Award. She is a member of the National Association of Pediatric Nurse Practitioners and the Missouri League for Nursing. Dr. Kathy Roseland has worked as a Registered Nurse since 2006. Her nursing experience includes home health care, medical-surgical, geriatric, and staff development. She was trained in simulation in 2015 and has worked as the Simulation Coordinator for an acute care facility and in the role of nursing instructor. Roseland is a graduate of Chamberlain University where she received her Master’s Degree in Nursing (MSN) with an emphasis in education in 2013 and her Doctorate of Nursing Practice (DNP) in 2016. She is licensed in Missouri and Georgia. Roseland was inducted into the Sigma Theta Tau International Honor Society for Nursing in 2015. She is a member of the American Nurses Association, the Missouri Nurses Association, the Society for Simulation in Healthcare, and the National League for Nursing. 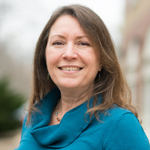 Regina Stolzer has over a decade of experience working with higher education. 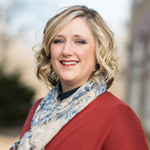 She spent 11 years working for Maryville University first in the Maryville University Bookstore and moving on to become the Assistant Operations Manager for the Online Nursing program supporting a staff of more the 150 adjunct nursing faculty. She received her Bachelors of Science in Organizational Leadership and Psychology from Maryville University in 2012.